Necessarily Unashamed: "Singularly barren of exciting events." Here are my notes from this afternoon's lecture by Victor Navasky, Publisher Emeritus of The Nation. The Nation is America’s oldest weekly, founded in 1865. This is perhaps my favorite lecture to date [and I have fixed the italics and added a few pictures to make your reading easier]. 2) The Nation has, from the outset, broken all the rules. As an exercise, Navasky has the interns copy out every editor’s note they can find – maybe 25 – to determine what the office considers right or wrong. What are the assumed values of the mainstream press, using the Times as an example? Hypothesis #1: “These rules don’t apply to children.” The Nation got a manuscript from a twelve-year-old girl saying kids should have the right to vote. Navasky called the girl to ask her to add in the age she would like children to vote – he thought it was a great article, and very funny, but this information would make it more serious. The girl wouldn’t give the age when kids should be allowed to vote – her case was, you can vote until you’re over 100, there’s no cut-off on that end. Why shouldn’t you be able to vote whenever you want to vote? Hypothesis #2: “These rules don’t apply to prisoners.” #3: “These rules don’t apply to Communists.” “To foreigners.” “To poor people of color.” “Equally to Israelis and Palestinians.” As you determine whether these rules apply to certain groups, you begin to get a sense of what the assumed values of this newspaper are. That is the ideology of the paper. Though The Nation was told the internet would eat their publication alive, it did just the opposite. The internet created a new subsidiary right. The Nation obtained 40,000 paying subscribers last year just from the website. And 15,000 – more now – are “nation associates” who send extra money for the magazine because they like the magazine. The Nation took their joke about readers’ expiration to heart: “We started a legacy group, asking people to remember us in their will, which they started doing! As they dropped off, we would be the beneficiaries of their demise!” A NY Times reporter called them, astonished. The Nation is technically for profit, so that they can endorse candidates for president, Navasky explained. Why couldn’t they behave like schools and other places that asked for legacies? Navasky told an anecdote where he was asked if he would donate a copy of The Nation for the White House library. The staff talked it over and decided to give the White House library the student rate for a subscription. Writers like Doctorow and Lionel Trilling are not only the ones who like the magazine, they’re the only ones who can afford to write for publications like this. “The truth about these quirky journals is that their insolence is way disproportionate to their numbers,” Navasky explained. Participating in the national dialogue is more important to the magazine than getting credit or making a profit. He quoted an editor who said, “When I had the idea to work for a socialist magazine, I thought I’d be an editor and I ended up being a beggar!” The publisher left in 1935, and founded The New York Observer. He offered to sell The Nation to Navasky for a million dollars, no money down. Here’s one fundraising story that happened to be a success (“most fundraising stories tend to be failures”): Paul Newman. Doctorow managed to make an appointment to call him, but it took three months to sit down with Newman. They went to restaurant of his choice (one might call it Newman’s choice, ho, ho, ho!) on the Upper East Side. Navasky found out there would be four of them at the restaurant – he loves Joanne Woodward, but expected that if Newman was bringing a spouse, it meant bad news. After Newman and Woodward arrived, they all chatted for a while. Doctorow and Newman reminisced about Kenyon College. Navasky talked with Woodward about book he’d written, Naming Names. Newman eventually asked what they were here for, and Navasky explained why it was important for The Nation to exist, why its influence was disproportionate to its numbers, and so on. He said he had two people who had expressed some interest in contributing funds who wouldn’t exert influence over content. Newman set down his beer and said, “What about fifty-fifty?” He meant half for the magazine and half for the institute. 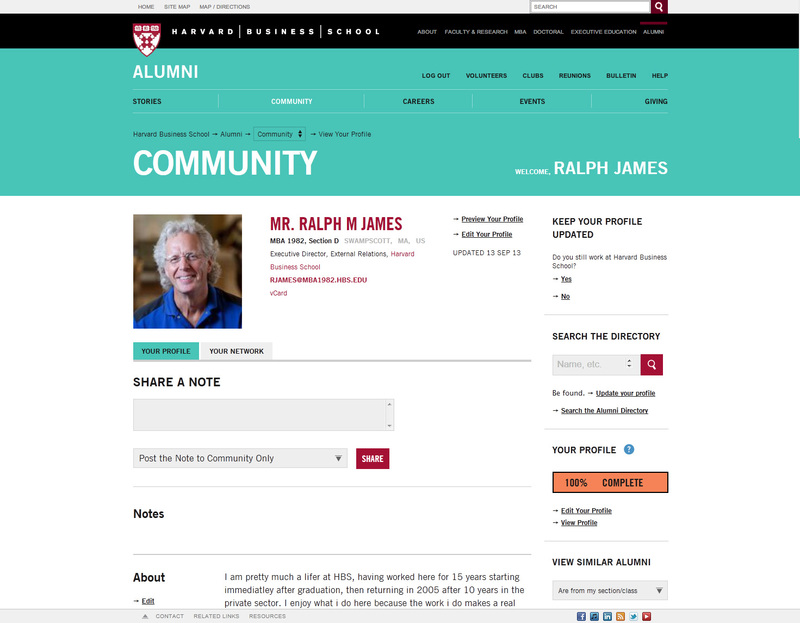 He turned out to be the ideal shareholder. Because Newman got involved, they could raise the rest of the money. Navasky and his staff called shareholders and asked for $5000 each year for three years. Subscribers made this commitment. “It was a good lesson for us… Every magazine has to find its own investment. Happily, we found ours,” Navasky reported. 7) You have to do all the things that other magazines do, but you have to do it better. Do everything more professionally. Website turned out to be an unexpected source of revenue for The Nation. He has put in for a MacArthur grant to research the relationship between magazines and their websites. Nobody knows the best way to mediate between these yet – as the Vanity Fair editor said earlier this week, it’s “like the wild west.” Who has the final say: the website editor or the magazine editor? How much is free and how much do you charge for? There is no business model for the website except selling ads. The more traffic, the more ads you can sell. More posts mean more traffic, which means more ads. People who run the website want to post, post, post. People who run the magazine have standards: fact checking, copy editing. But if you abide by this standard, Navasky says, the website “across the street” comes out within ten minutes about the Obama-Hilary debate. Nobody knows what anyone’s doing. So The Nation as a research forum, and conducts survey online. Here Navasky launched into another story: I.F. Stone would never go to off-the-record meetings in Washington, but he would talk to journalists as they came out and he would report from that. This way, Navasky explained, “He had the benefit of the information and not the detriment of the obligation.” This special issue was similar, in Navasky’s mind. One special issue that was Navasky’s favorite: Russian artists who had come to New York, who specialized in satirical realism – really imaginative guys living in SoHo named Alexl Melamid and Vitaly Komar. In Russia, you could only paint what the czar would let you paint. They believed there was a new kind of censorship in US: You could only paint what collectors wanted to collect. Their goal was to paint art for the people. Felt collectors knew nothing about art, especially not art for the people. Great discovery: America had already created something to tell you what the people wanted – the public opinion poll. They sent a letter to a half-dozen pollsters asking what it would cost to take a poll and analyze it to find out what kind of art people want. Gallop said they would do it for $80,000. Then these artists wanted to paint the most desirable exhibition. The Nation didn’t have the money to sponsor the Gallop poll, but it had a friend who was a pollster and an art collector. This friend agreed to do the poll for half of the price, and wanted a painting. First meeting to determine questions – potential investors were there, all promised pictures – every investor was baffled by what questions they would put on the poll. Komar said, “Is simple. You like big art or you like little art? You like yellow art or red art?” Nudes? Circles or angles? Thick paint like oil or no thick paint like watercolor? Then they painted the most wanted picture in America: it was the size of a dishwasher, and featured George Washington with blue sky above him and grass below him. Then they painted the least wanted: a tiny painting of small shapes bumping into each other. The show sold out. It was called “By the Numbers.” The New York Times covered it. Farrar Straus & Giroux made this into a book. 8) Go to ancillary businesses. Essence used to use a music festival in New Orleans. The Nation runs line of books – it’s partnered with Perseus. The Nation has its own book program on the radio. And it’s in the cruise business! Every year it brings culture heroes and writers on a cruise with Nation lovers who are in the mood for boating. Navasky said they worried the guests would throw Ralph Nader overboard – he was a guest right after Kerry lost the election – but he charmed everyone with his own analysis of the two parties. (He attacked The Nation later when they wrote a letter urging him not to run again, but he was well-behaved on board the ship.) Mark-ups are so great, the magazine can make as much as $750 a passenger. This helps subsidize the magazine. And they give special guests a free vacation. 9) There’s the minor business of magazine itself, its energy and contents. The Nation has a monopoly on weekly progressive journalism. “If it’s bad for the country, it’s good for The Nation.” When government is bad, circulation goes up. Disapproved of Iraq War from day one, and many people are reading now because they don’t want to feel alone in their opinions. 10) Navasky was at a democratic convention 4 years ago in Boston, at the Kennedy School. Jim Lear of Nightly News Hour was there, and other news anchors, and during the question period a Harvard professor asked, “Why is it that so many students get their news from Jon Stewart?” The answer everyone gave was that students were too stupid to get that the news was different from Stewart’s jokes. Navasky disagrees. Part of the formula of the television world is to pretend that you have no politics yourself, that you have no ideology, that you’re an honest broker of opinion. Stewart is in the business of exposing hypocrisy, and you can identify with someone like that. Reader can have a different trust relationship with that. 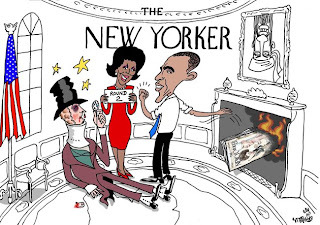 During the question and answer period, Navasky was asked to share his thoughts on the New Yorker cover: he said the reaction is “a way overreaction” to it. But it was not a fully successful cartoon because message was not fully apparent. But shortly after Navasky accepted the submission, a petition landed on his desk requesting that the cartoon not be published – three-quarters of the office had signed it. Never before had there been “a storm on the office” before an image had gone to print. Navasky called a meeting and set down some ground rules: They would have no vote at the end of the meeting, because it was wrong to have a majority vote on aesthetic questions (luckily, Navasky laughed, no one asked why). He was offered this cartoon on a take-it-or-leave-it basis, so they couldn’t go back and ask Levine to draw a third-world man instead of a woman beneath Kissinger’s body. Lastly, Navasky said, “We’re free to change our mind as a magazine, but if we do, we’ll be accused of censorship [since they had already accepted the picture] …but we can live with that if it’s the wrong thing to do.” He brought Levine in. Levine said all the wrong things for the staff in the meeting. He has been asked, Who are you to say experts are wrong? “Our response was that we weren’t experts. We like to think of ourselves as meta-experts – but we were expertologists. We have a sign we move from place to place.” Navasky promised to ask Christopher Cerf to put it up at his house at our goodbye party.